1 Walk Through Walls, Power-up, Slow Motion Enter "NYUKNYUK" for a password. The words, "Second Controller Enabled" will appear. You can now use Controller Two's directional pad to walk through walls, or press A to refill your life and ammo, and B for slow motion. If you push START on Controller Two, the game will return to normal play. 2 Level Select / More From the title screen, enter and leave the options screen. Now go to the password screen and enter any correct password. Next, move the cursor over '<<' or '>>'. Finally, press and hold A, B, C and START. You should see a new screen where you can select your STARTing level and more. For the sadistic paleontologist, here are passwords to START each level as Dr. Grant with no weapons! been genetically recreated from eons-old DNA samples. from the novels by author Michael Crichton. IMPRESSIONS:      On the whole, better than most other movie tie-ins. suffers from a noticeable drop in quality. The game play for this game is excellent, gain a variety of weapons to overcome the dynasour traps in each rounds. You may select the raptor as character instead, and jump around. Every round was well designed, you need to think on each step inorder to complete each round, (especially the round on boat), you need to catch the time very well. I used some life to think about the solution of final round. The major problem is this game is a bit hard for child, i don't think they could complete the game with human. Nevertheless, this game is great as an action game, try it! 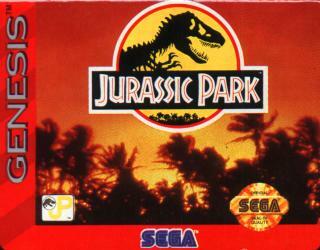 without a doubt the best one in the series, best graphics, best gameplay, best lastability. when you first play the game it becomes a nice little addictive top down shooter with nice graphics and movement. its even more fun with two people playing cooperative working your way through the jungle caves and other dangerous parts. this game is not just a top down shooter it has other great level styles as well, there is a level were you chase dinosaurs in a 3d arcade style view on a motorbike. 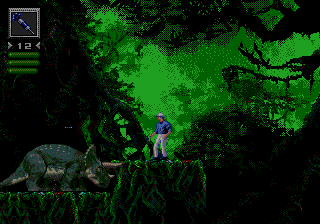 and a level were you are trapped on a watter raft fighting off other dinosaurs to give you more arcade feel. 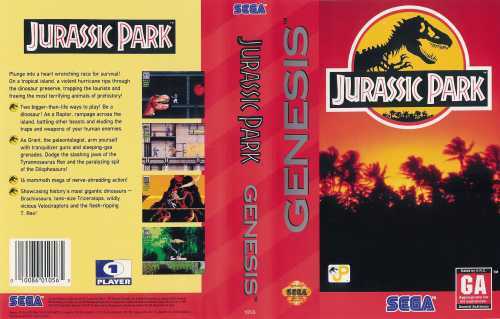 I have this game.. and i dont like it much.. maybe because i dont like the movies.. idk.. Its still a cool game.. but im clueless in it only becasue I got it usde with no manual.. and I dont have a damn idea what im suposed to do?? Having one of those days? you know what I mean -- new (clueless) manager at work, forgot to take your medication, accidentally shredded your bills, stuck in an in-between job that doesn't know how to act in-between? Tired of that yet? =] anyone who has played these (at least the first two) will tell you that the levels are well-designed. JP: Basically, with Grant you have more agile opponents to pay attention to while, say, dangling hand-over-hand on wires you hope aren't live... With the raptor, you pay more attention to using your agility to overcome both inanimate obstacles And the scared guy with the explosives. Very different capabilities and levels, but alike in that fun-factor thingie (including 'challenge'). In JP:RE, as Grant you're giving overdoses of tranquilizers to make sure your friends don't wake up, but like the first, interaction with environment is high; some of the dinos will take you places. And cooler weapons for the raptor -- compys on Isla Nublar are biodegradable, but there are still things to eat. a lot more scared guys with explosives. Sorry, still cant eat them. 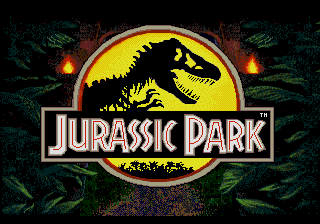 Overall, graphics are gratifying, as are sprites, music isnt annoying =] and levels are well-developed ... one of the few Jurassic Park titles that does the book justice. Having only played the first one, it's the only one I'm able to comment on. And it's a dull platform beat-em-up. Better off with a Shinobi game.